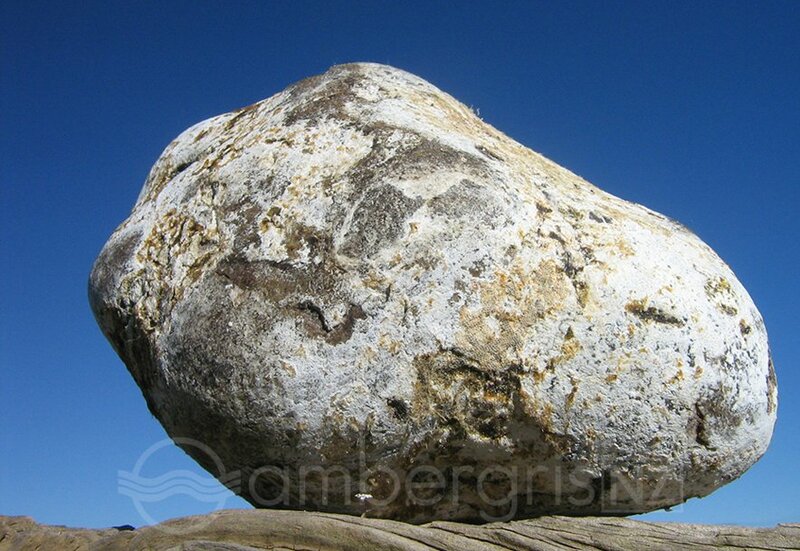 Ambergris is a very unusual material. The origins of this mysterious substance (known variously as ambergris, grey amber, anbar) confused mankind for centuries. Throughout history; strange and even mythical origins, such as dragons drool, were proposed as the possible source of this odd yet precious raw material. 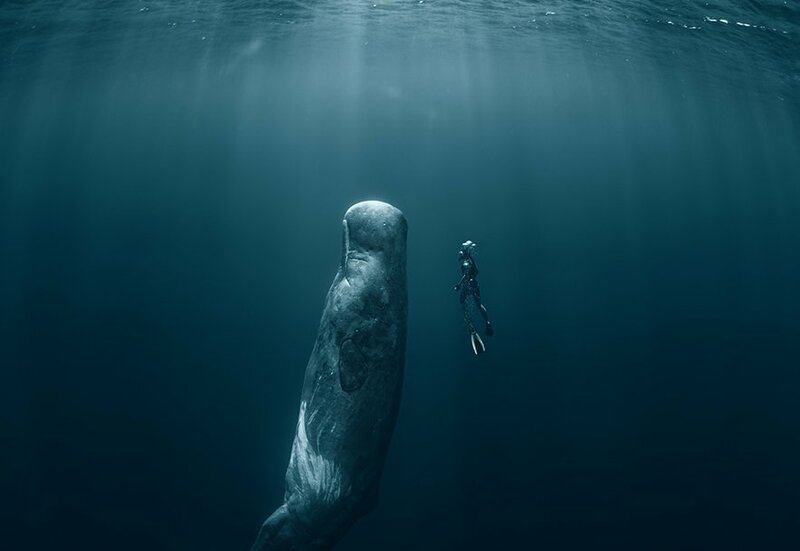 It is now well documented that ambergris is an excretion produced by the sperm whale. While the sperm whale may be a much less exotic source for ambergris than dragons; the aura surrounding ambergris remains. 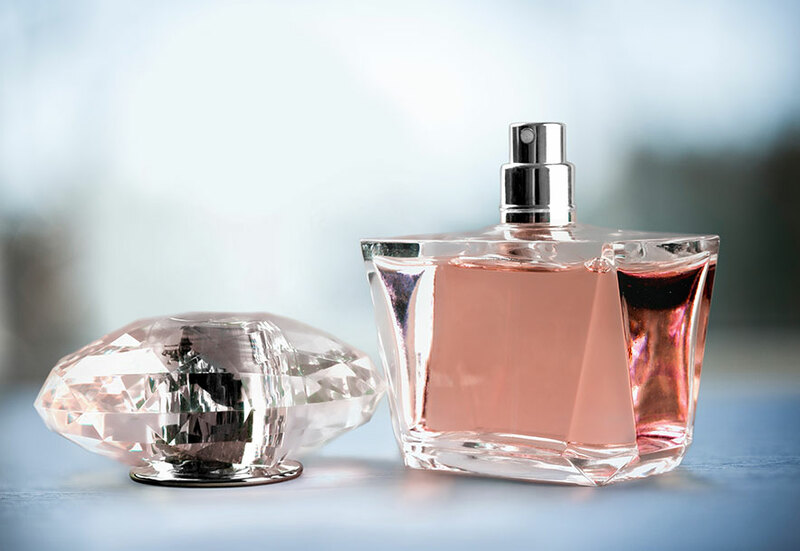 While ambergris is produced in various shapes, colours and textures; the undeniably unique fragrance is common to all. Ambergris was first thought to be produced as vomit by the whale. However, modern research has confirmed that ambergris is not regurgitated by the whale as vomit. Instead it forms in the lower regions of the animal in the intestines and/or bowel. The precise function and mechanism for the production of ambergris is still disputed but it may play some role in protecting the whale from the sharp beaks of the squid. Squid are a staple part of the sperm whale diet. The squid have hard, sharp “parrot like” beaks which are unable to be digested by the whale. In response; the whale may produce the ambergris as a means of binding together and eliminating these indigestible beaks. 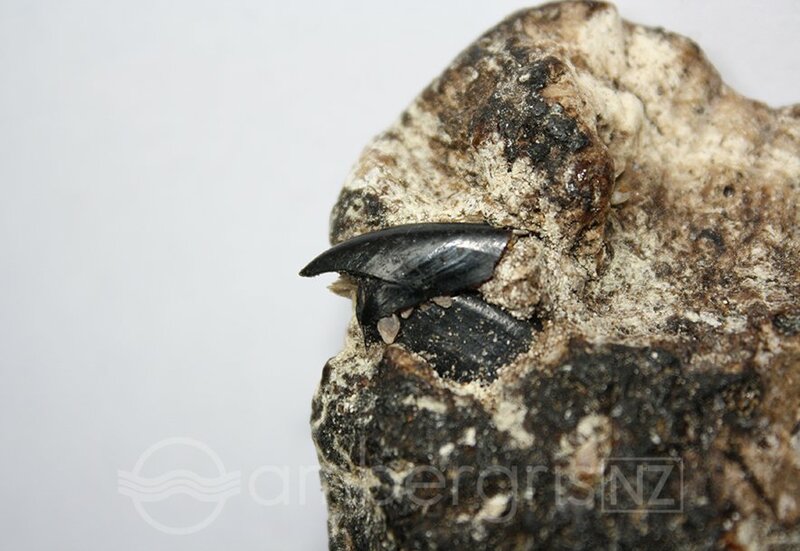 Squid beaks are often found inside pieces of ambergris. 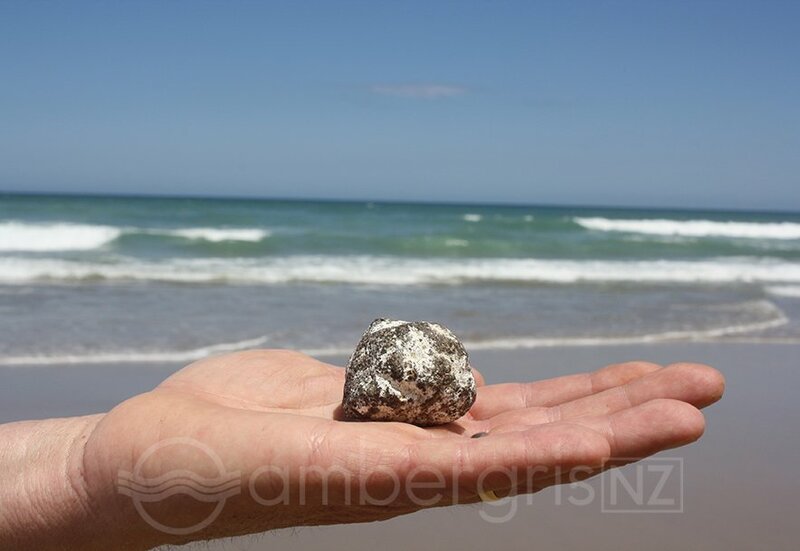 Ambergris is a valuable commodity, in part due to its rarity and the uncertainty of supply. There are lucky finds resulting in the purchase of a dream home or world trip. Then there are the bitter disappointments; "the close but no cigar stories" when the earnest beachcomber discovers his unusual find is just a piece of tar or other flotsam. Nevertheless, it pays to keep an eagle eye out while walking along the beach. Many pieces are collected from NZ beaches every year. Imagine going to the beach and finding piles of hundred dollar notes. Would you stop to pick them up? If you find a strange bit of flotsam on your next trip to the beach; remember to take a second look. If it turns out to be ambergris, you may be able to say “goodbye” to the mortgage or fund that world trip. Ambergris has been prized for centuries for its peculiar qualities. It is best known for its use in the perfume industry as a fixative for fine perfumes. It has also been used in some cultures for medicinal purposes, as herbal remedy and as an aphrodisiac. Ambergris releases pheromones making it a true aphrodisiac, a quality which has added to the mystery surrounding the product. Ambergris has also been used to enhance the flavours of food and wine. In recent times; it has even been used as an exotic additive to luxury cocktails, boutique chocolate and specialty cakes.